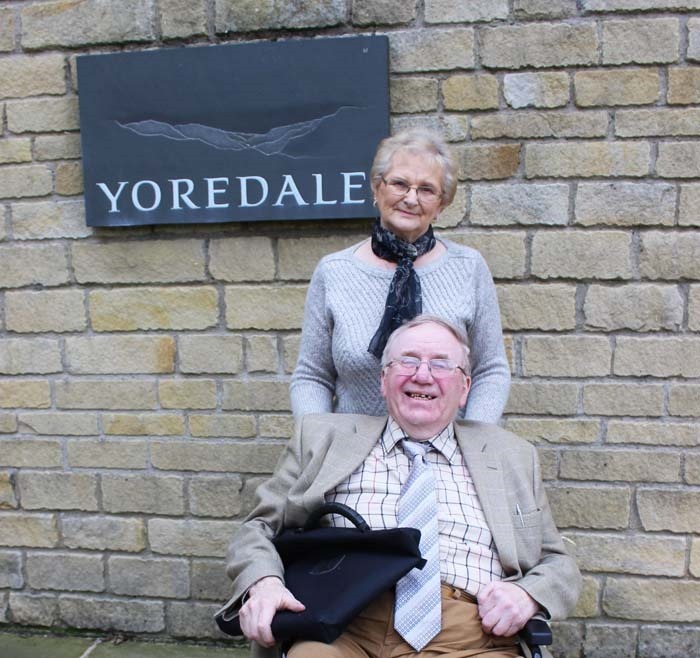 Harold Brown, the longest serving parish council representative on the Yorkshire Dales National Park Authority (YDNPA), has resigned due to ill health. In 1996 Brown was among the first group of parish council representatives to be appointed to the Authority by the Secretary of State. By then he had been chairman of Grinton parish council for 11 years following in the footsteps of his father and grandfather not only as a parish councillor but as a respected hill farmer. During his 20 years as a member of the YDNPA he has been the Authority’s deputy chairman and also chairman of its planning committee. Following a stroke in January 2015 he was only able to attend Authority meetings thanks to the assistance of his wife, Kathleen. He continued as deputy chairman of the planning committee until August this year. North Yorkshire County Councillor John Blackie commented: “In Harold Brown standing down from the YDNPA, and particularly from the Planning Committee we have lost, at our peril, a wonderful advocate for the deeply rural Upper Dales: unswervingly loyal to the very best interests of all of us who live and work here; to the prosperity of our local businesses, never forgetting this category includes our farming enterprises; and to the very well-being of our local communities. “Harold was highly respected by both officers and his fellow members on the YDNPA, even those who perhaps did not share his instinctive passion for securing the very best for all the local people here in the Upper Dales, and beyond in the remainder of the National Park. He was incredibly well-informed on farming issues, and ever ready to stand up to be counted for us all. “Sadly ill health has prevented him carrying on his excellent work over very nearly 20 years of his membership of the YDNPA but the memories of his various contributions to debates and discussions at the Park, and the many achievements in both planning and policy-making that he, along with others who shared his view of the huge importance of vibrant local communities, helped shape will live on for a long, long time to come. “In our heyday James Kendall, Harold and I were nicknamed by a well-known member of the YDNPA at the time as The Swaledale Mafia (me because as a County Councillor I represented both Swaledale and Wensleydale) – mainly because we made the Planning Committee offers it could not refuse! Like the Camms Barn on High Abbotside, like the Sports Centre at Reeth, like the renewal permission for The Scott Trial, like so many more – all planning applications recommended for refusal by planning officers but overturned by the compelling arguments and the powerful advocacy that we put forward on behalf of our local communities.